Thank you for your interest in ProData's products. Click on the left tab to display instructions for each software. 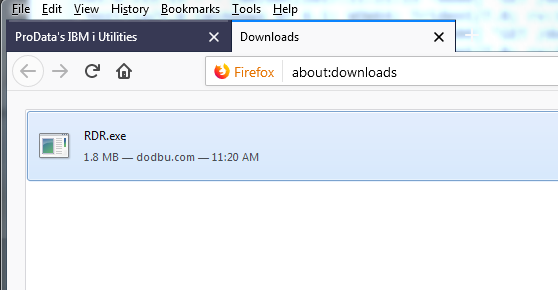 Please select the tab of the product(s) that you wish to download below. Once you have clicked on the link to start the download process, the following screen will appear. 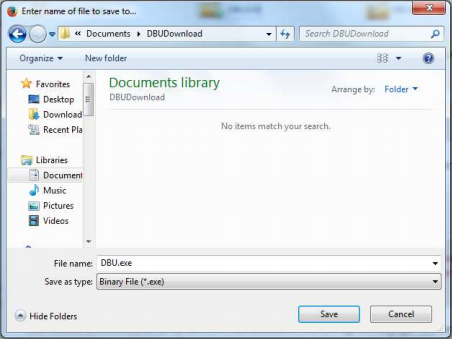 Click on the Save File button to save the installation file to your local computer. 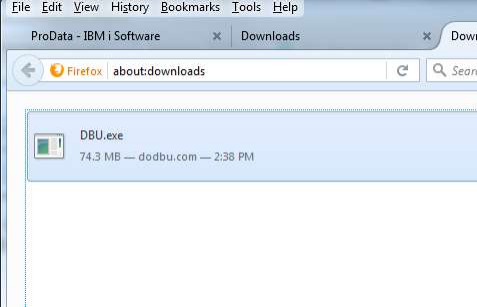 We used Firefox web browser for this example. Once you have clicked on the Save button, choose the directory to which you would like to store the product executable .exe file. 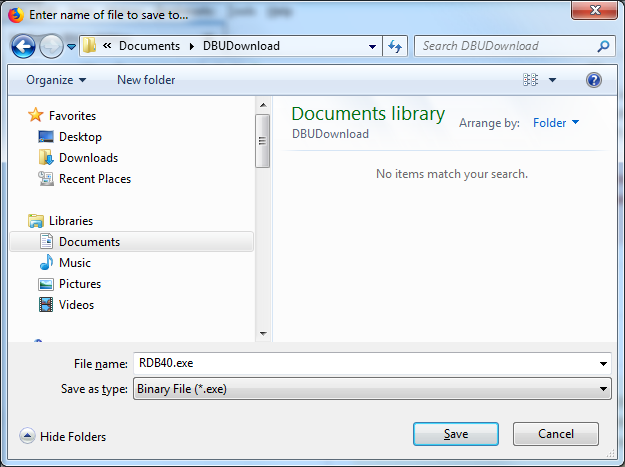 Once you have clicked the Save button, the installation file will be downloaded to your local computer. Please be patient during this process. 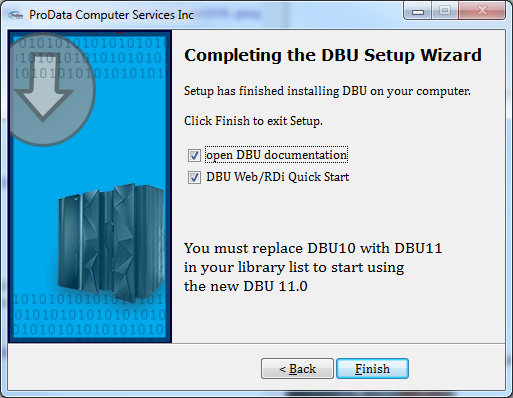 If you have a previous version of DBU installed, please ensure no one is accessing DBU by running WRKOBJLCK OBJ(DBU10/DBUUSERS) OBJTYPE(*FILE) Note: Substitute your current version of DBU for DBU10 in the command above. 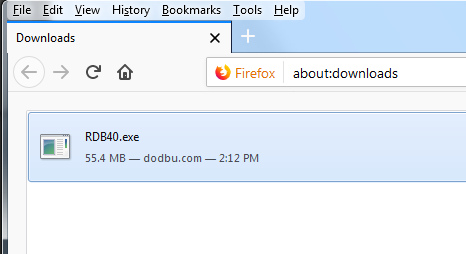 Once the installation file has been completely downloaded, locate the Product Installer .exe on your computer and double-click the .exe file to begin installation. 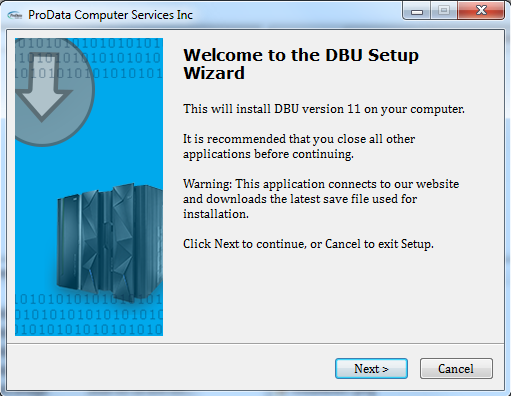 Click Run to start the DBU installation. A splash screen will appear and a series of notices informing you of the process being performed. After which the following screen should appear. 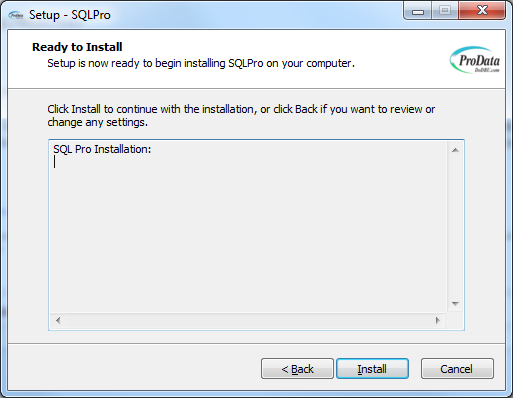 Click the Next button to continue the installation process. 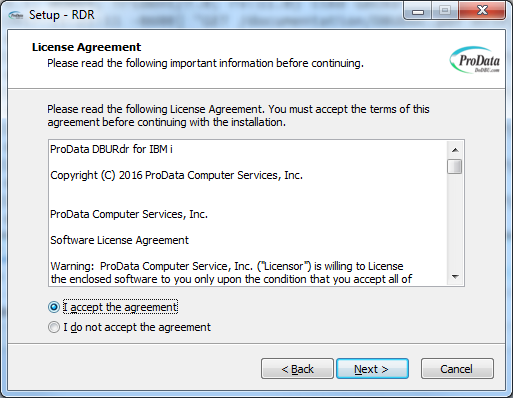 Read the License and Service Agreement and upon accepting the agreement, click the “I accept the agreement” radio button and click Next to continue the installation process. A connection test will be performed against the IP Address, User ID and Password on the IBM i (AS/400) host computer. This screen will disappear once a connection has been established. If the connection is successful the following screen will appear. 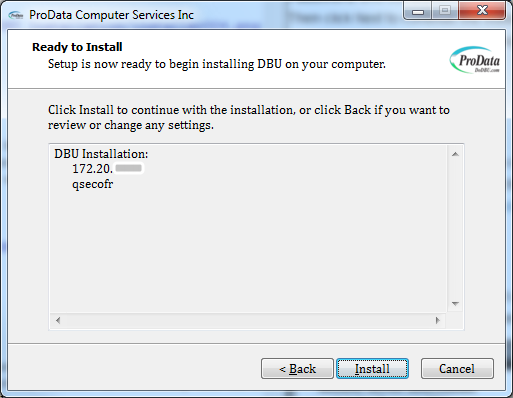 Click Install button to begin the installation process. 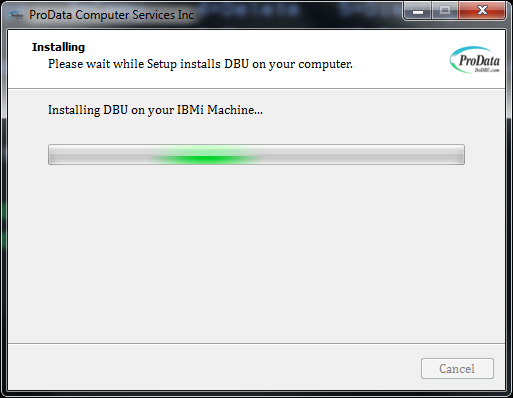 While software is installing this window will show the process. 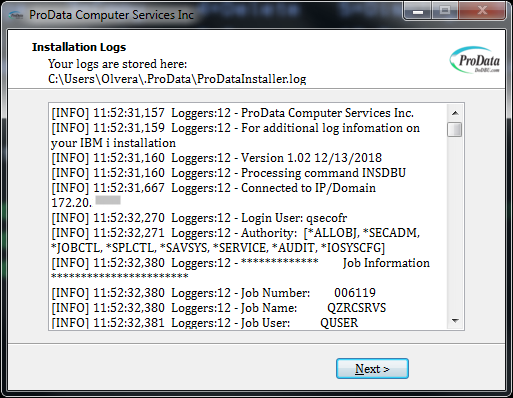 When you select to display installation logs this page will appear before exiting installation. The last screen that should appear is the Completion screen. 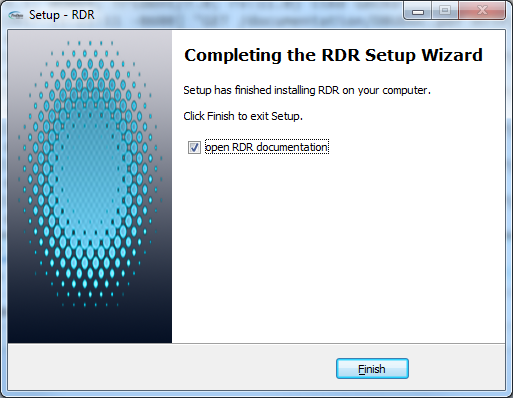 Press the Finish button to complete the installation process. 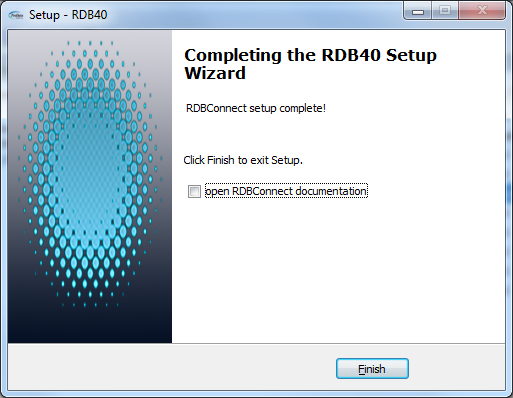 The example below uses the RDB40 product executable for the install. Once you have clicked on the Save File button, choose the directory to which you would like to store the product executable .exe file. 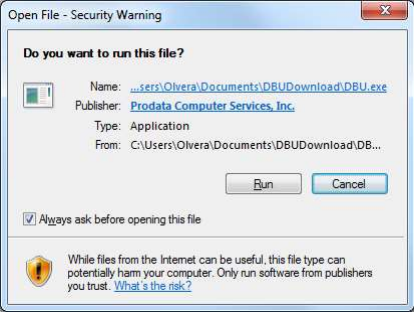 Once the installation file has been completely downloaded, locate the Product Installer .exe on your computer and double-click the .exe file to begin installation. 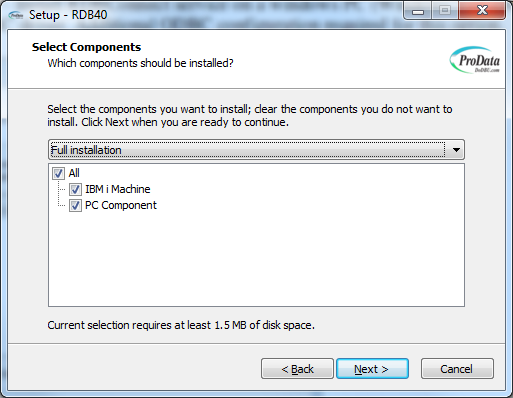 Select the software type you want to install. IBM i Machine - Install RDBConnect on a IBM i Machine (AS/400) host. 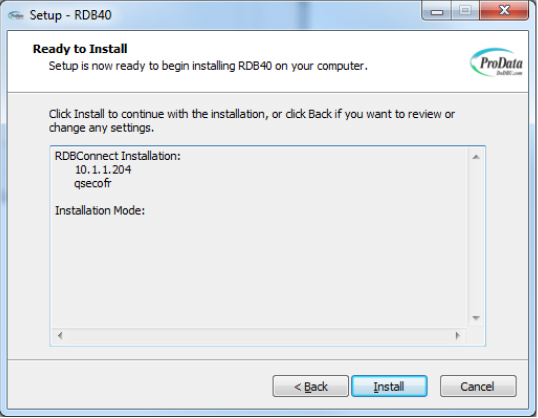 PC Component - Install RDBConnect service on a windows PC (Windows 7 or above) to transfer data using ODBC driver. 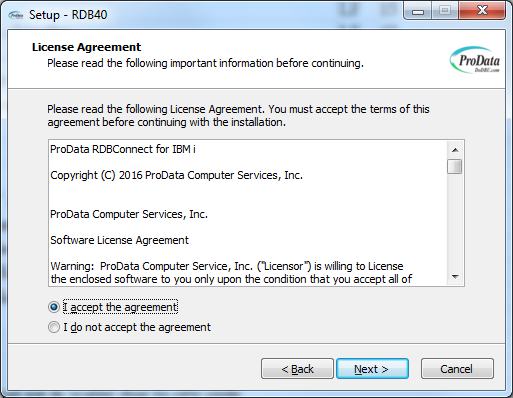 Additional ODBC configuration required for this option. 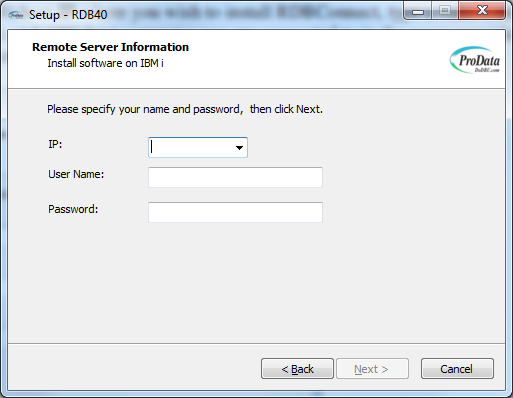 Type the IBM i (AS/400) host IP where you wish to install RDBConnect, type a valid User Profile and Password for the IBM i (AS/400) host computer you are connected to in the space provided. 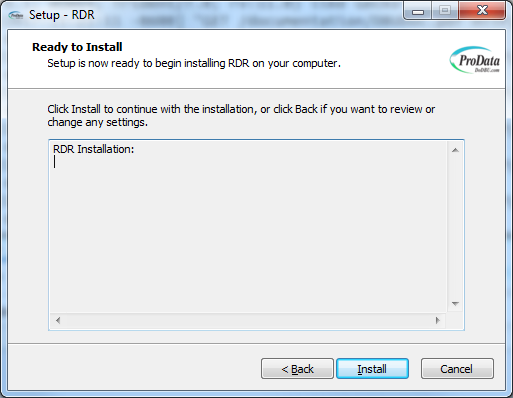 Then click Next to continue the installation process. 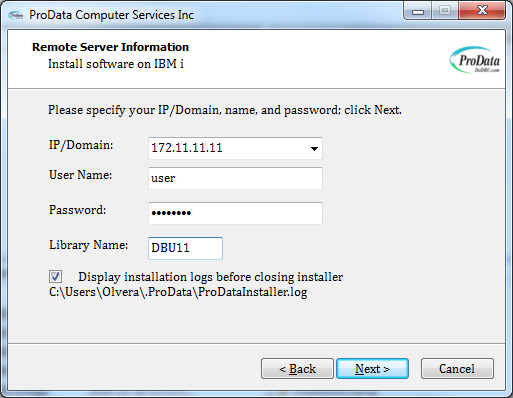 The installation process requires a connection being established to your IBM i (AS/400) host computer. 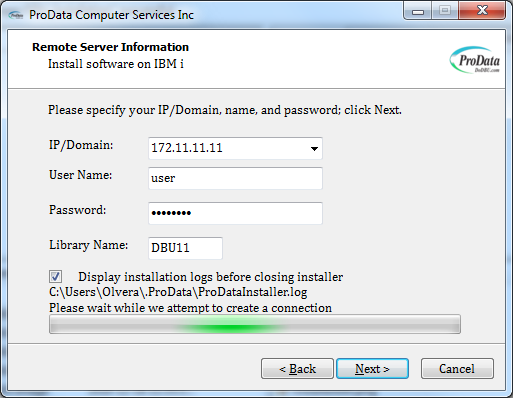 Once you have verified the connection to your IBM i (AS/400) host, click the Next button to continue the installation process. 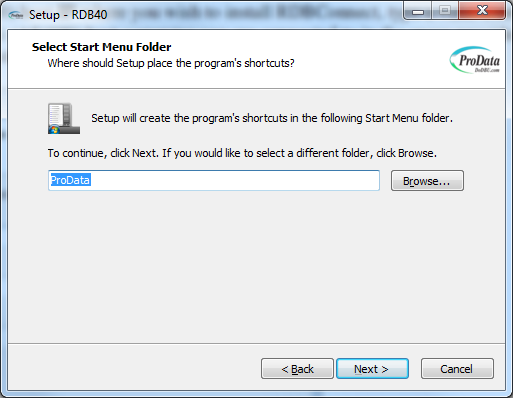 If you selected PC Component, this screen will appear to install the RDBConnect shortcuts. Click Next to continue installation. Note: A windows service program will be automatically created and started after the installation is complete if the PC Component checkbox was selected. 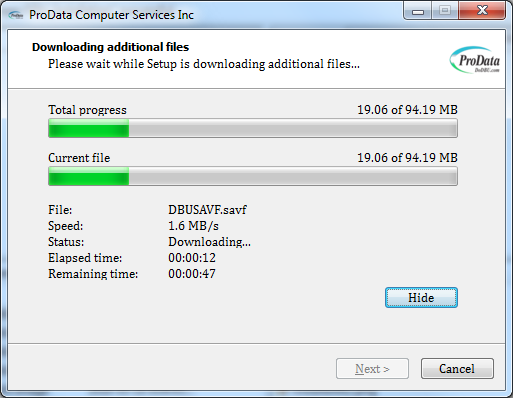 This installation progress bar will close after it completes the installation process on the host machine. The example below uses the SQLPro product executable for the install. 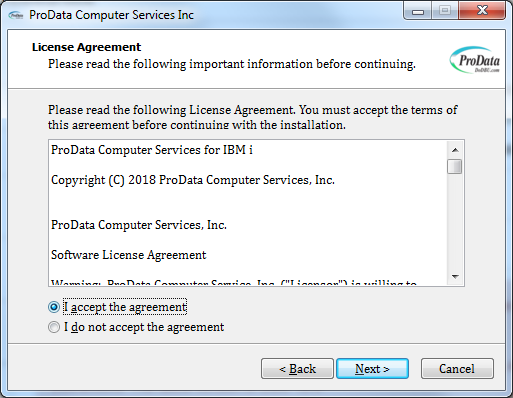 Note: This installation requires that your PC has an active network connection to your IBM i and that the FTP server on the IBM i is active. 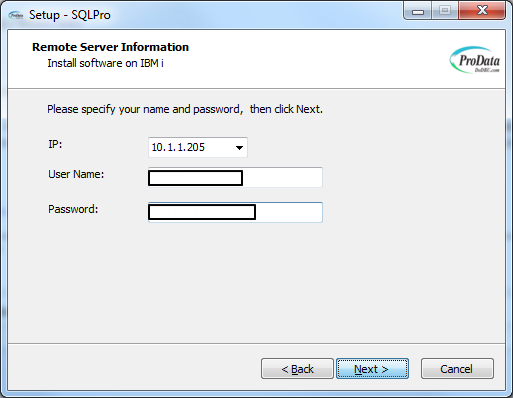 You must activate the FTP server on your IBM i by running “*STRTCPSRV *FTP” from a command line.